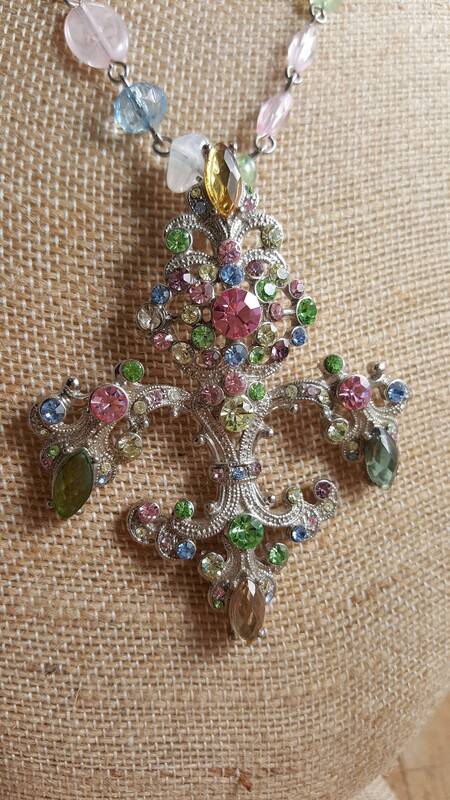 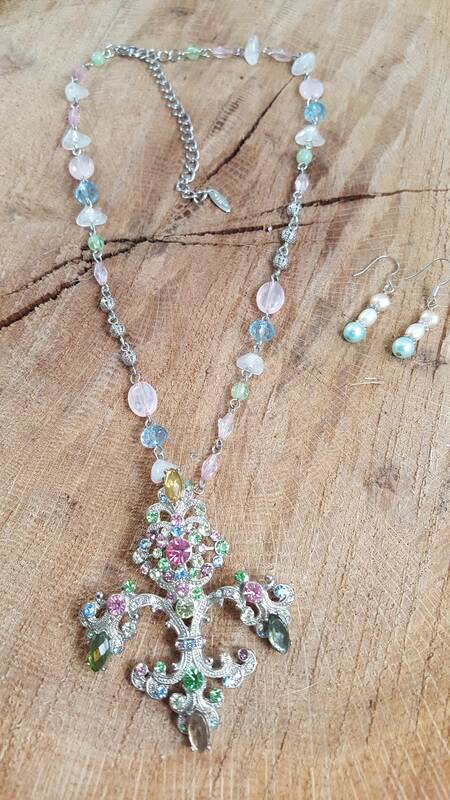 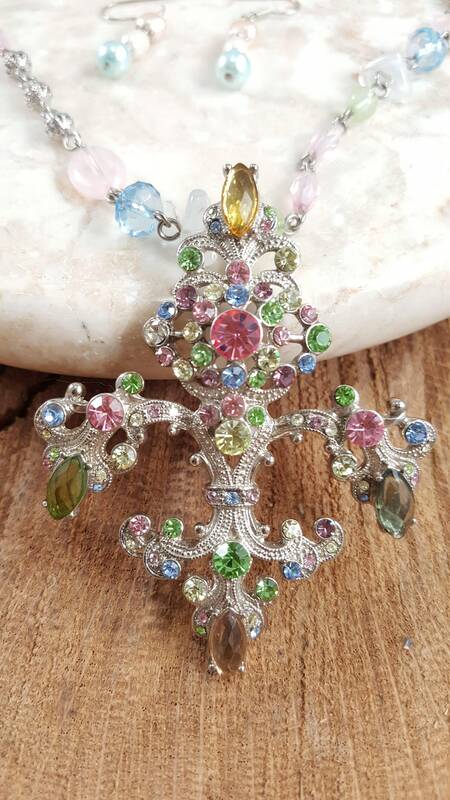 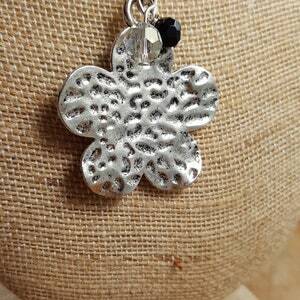 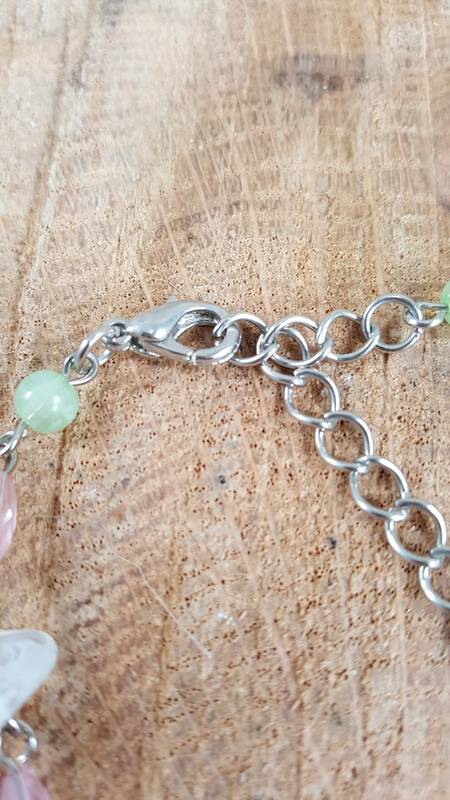 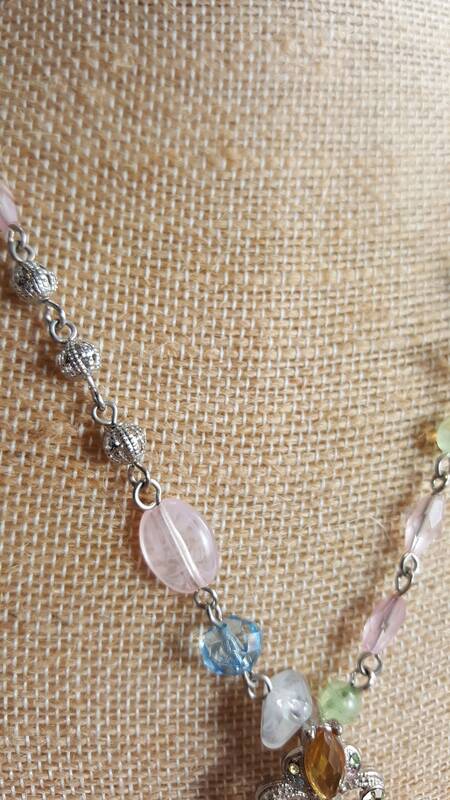 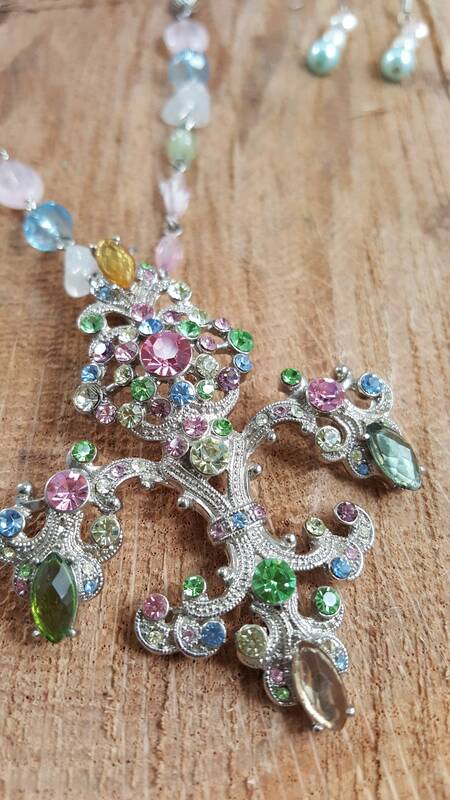 Silver3” Fleur-de-lis with pink, blue and green crystals for accent. 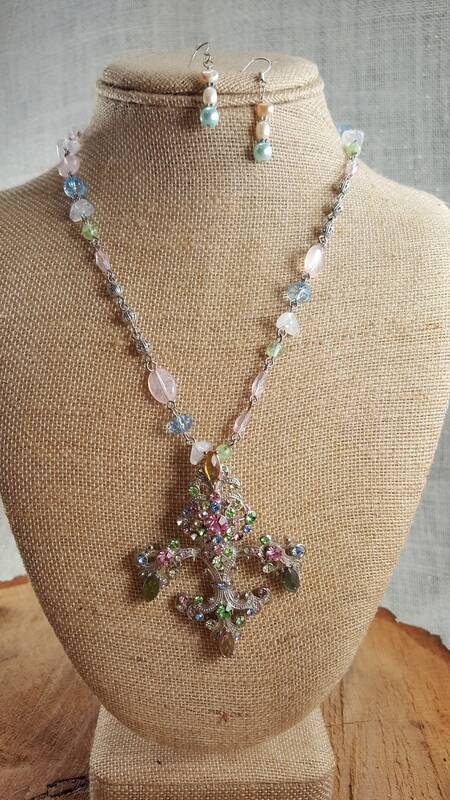 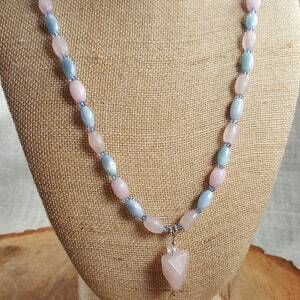 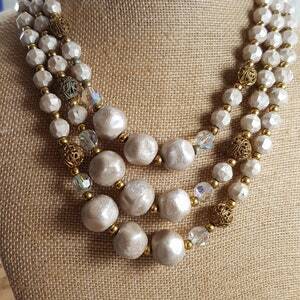 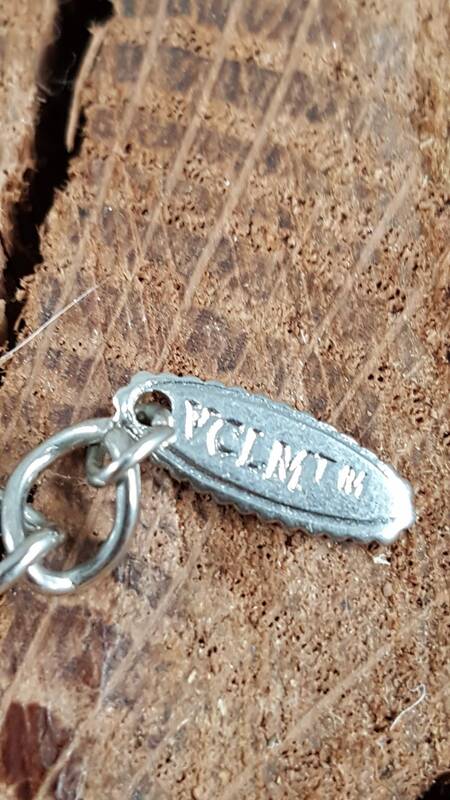 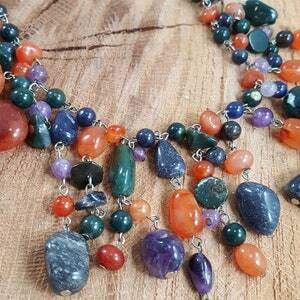 On a 18” multicolored crystal necklace. 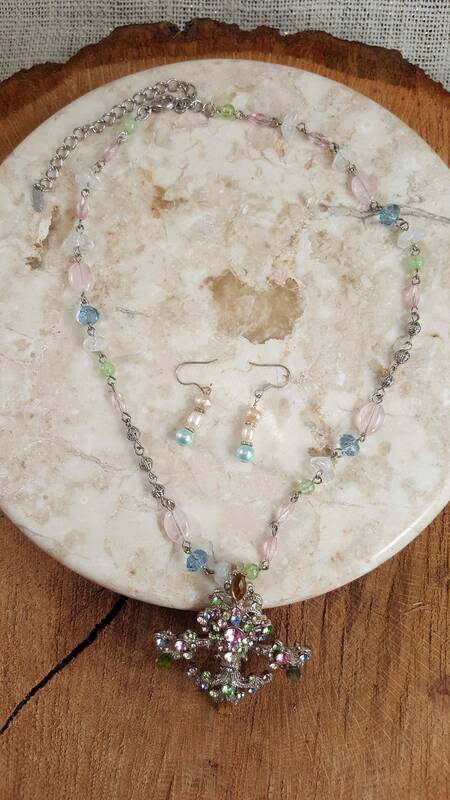 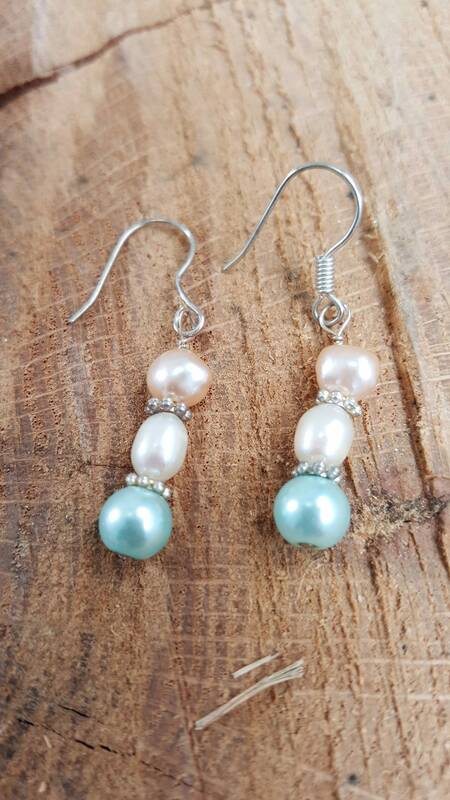 With matching crystal fishook earrings.